Our Dorotheanthus Liners (also called Livingstone Daisy) are native to South Africa and are very easy to grow. These unique low-growing plants produce a small red flower and can be used alone or in combination planters. As heat- and drought-tolerant plants, dorotheanthus make good groundcovers in landscapes as well. For best results with dorotheanthus, use a constant feed program of 200 ppm N. Watch EC levels and maintain 1.8-2.2 mS/cm. If your EC level gets too high, you can leach with clear water to avoid fertilizer salt build-up. A pH between 5.6 and 6.2 is important for the healthiest plant color. Dorotheanthus will flower naturally as the days lengthen and continue to flower all season long. 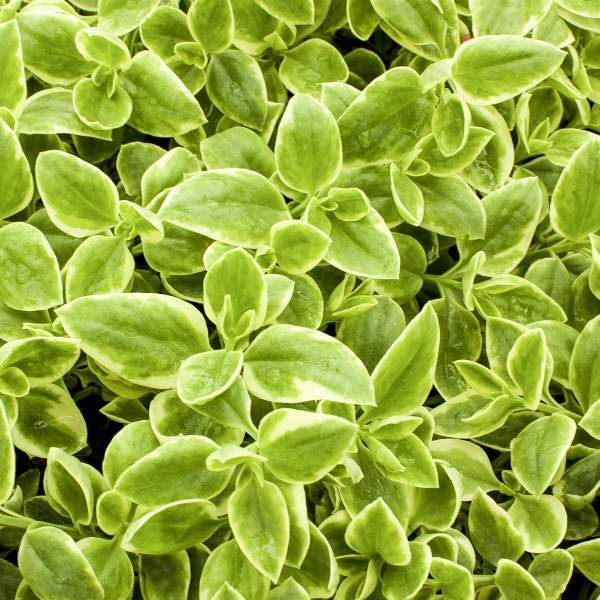 They grow best under high light conditions; they do not tolerate lower light levels in the landscape or greenhouse. To improve growth, branching and flowering, keep them in bright light. We recommend one pinch of Dorotheanthus either before transplanting or 5-10 days after. You can pinch larger pots and containers a second time to shape them, but it is usually not required. Dorotheanthus spread to 18-20" so space your plants accordingly. We recommend a final pot size of 4-10" with adequate spacing. Plant growth regulators are not necessary for Dorotheanthus. Dorotheanthus do not have any significant insect problems. Dorotheanthus is not prone to many diseases, but don't oversaturate the soil. If the plant sits in moist soil for an extended amount of time, you could end up with root rot or botrytis. Botrytis grey rot is usually associated with wet or humid conditions. You can prevent botrytis by allowing the plant to dry out between waterings, allowing for good airflow in your greenhouse, and spacing to allow the sun to penetrate to the soil level. The most common chemicals used to treat botrytis and root rot are Medallion and Banrot. Use them as a drench according to each label's instructions.